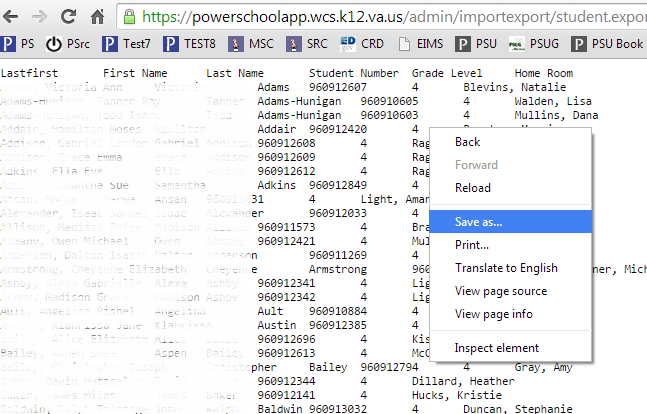 The two most commonly used methods for viewing the results from a student search are to display the list by selecting List Students and to save the list by doing a Quick Export. Both of these options are considered Group Functions within PowerSchool. The Student List Report parameters screen is displayed. Click Fields to choose from the available options. 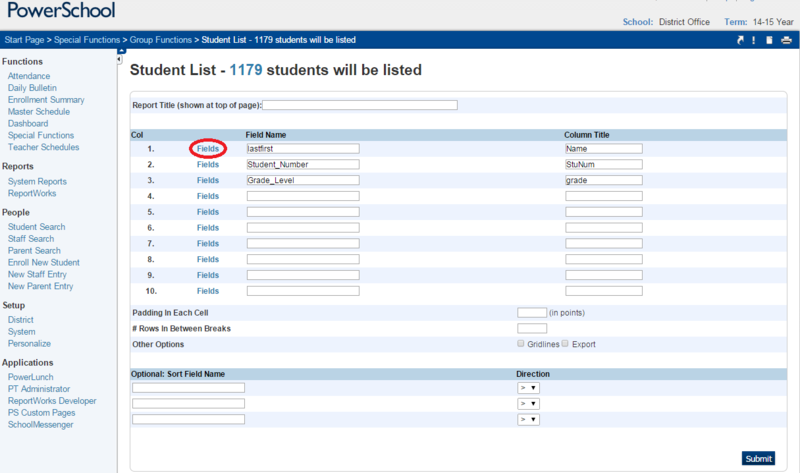 Click Submit to display the list of students with the specified field values. How to Save this List: Selecting the values of the List Students, then copying/pasting as a text document is a possible method of saving the values; however, the most direct approach is to save the list from a Quick Export. First time users, will be asked to Choose the program to Open this type of file. Browse to Microsoft Office and then Microsoft Excel. Change the File name to a descriptive name. If the file is in a .text format, launch Microsoft Excel and then Open the new text file containing the listed results of the student search.